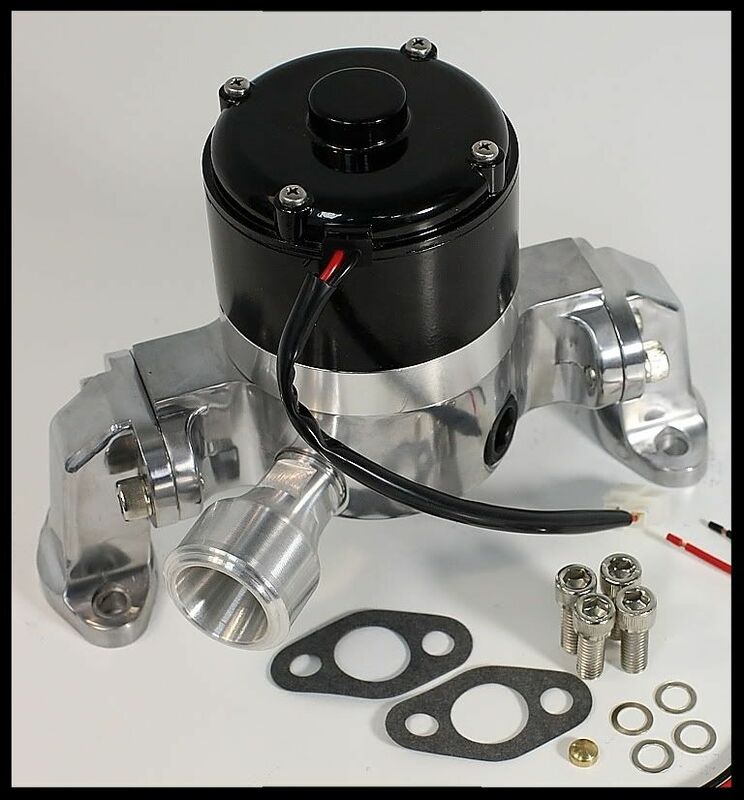 SBC CHEVY ELITE ULTRA FLOW ELECTRIC WATER PUMP POLISHED # E-5926-P CLEARANCE! Fits all Gen 1 sbc Chevy engines. This is our new Elite Series Ultra Flow Electric Water pump. 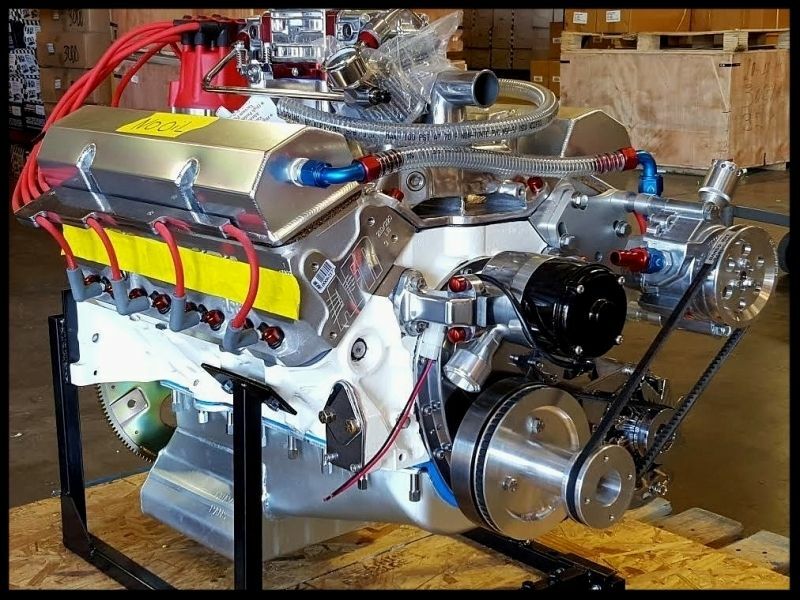 This model must be used on engines with a 6.75'-7.0" or smaller damper. 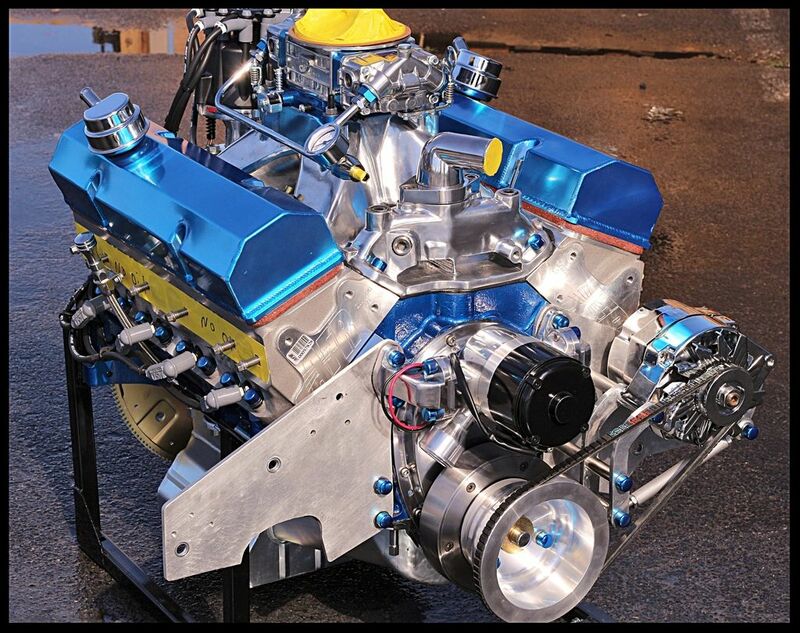 Pictured below is one of our electric water pumps mounted on the engine built for our company race car. 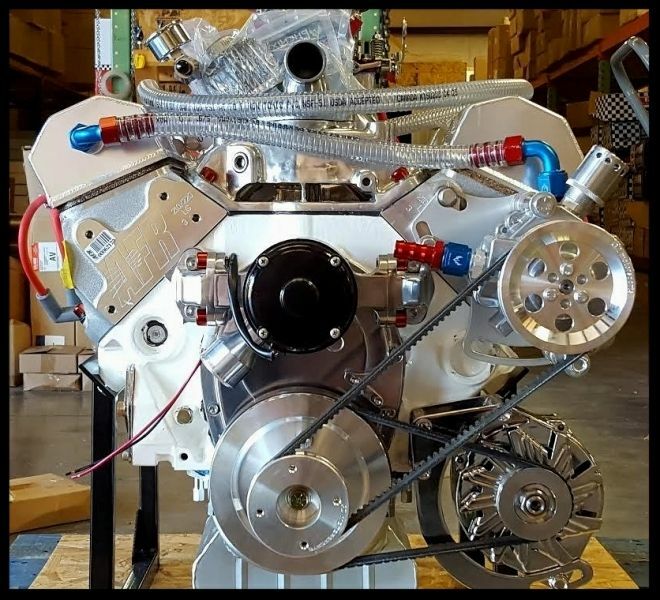 Pictured below is an engine with electric water pump setup for a customers engine. 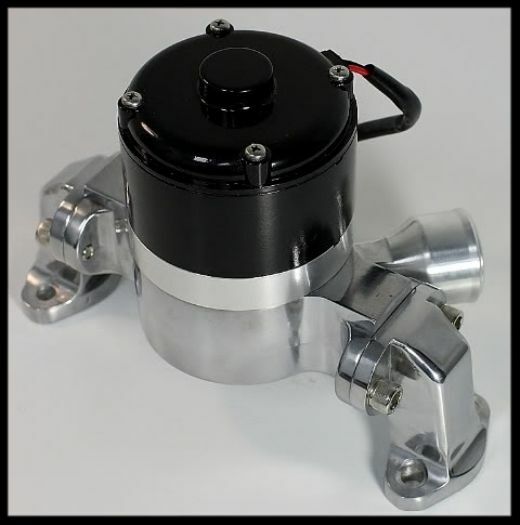 There are many different configurations you can do with this water pump. 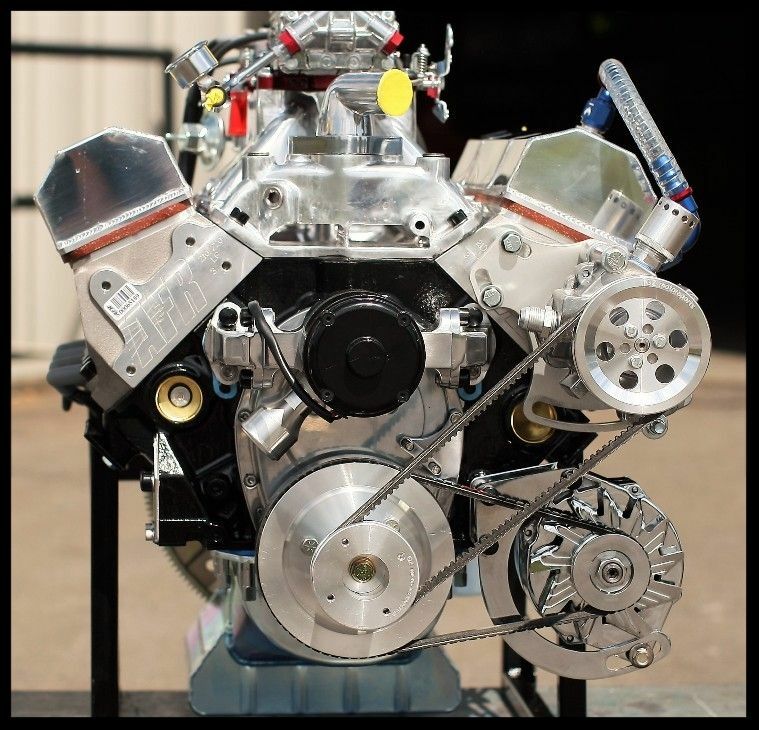 As you can see in the picture below this engine has a vacuum pump on it with a low mount alternator bracket. A straight ahead view pictured below.